A literary adventure of the most enjoyable kind. 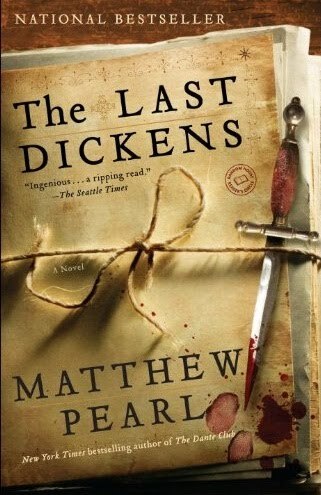 The Last Dickens is a historical literary thriller that includes a good dose of mystery, lots of bookish references and a smattering of romance all rolled into one. The Last Dickens is a fictionalization that focuses on the unfinished novel, The Mystery of Edwin Drood. Although the novel started out a tad slow for me, it didn’t take long for me to get into the story or its characters. As I was reading, I found myself thinking about silent films from the early 1900’s. Why, you ask? Well, the villains in those films were these creepy, shadowy apparitions that appeared out of nowhere. There is much of that in this novel as well. Additionally, the lure of the opium dens and their smoky interiors add to the mysterious air of the novel. Films from that era had to rely on setting and the setting that Pearl paints, draws the reader in. However, what I really enjoyed were the passages about Dickens himself. Pearl does an excellent job of making Dickens an accessible, compassionate human being. The eccentricities of the author shine through, yet he is a bit softer around the edges…more likable I guess. Earlier in the year I read Drood by Dan Simmons. In that novel, the sections that dealt with Dickens and his American tour seemed a tad tedious to get through. I didn’t find that to be the case with The Last Dickens. Pearl takes the time to focus on Dickens as a man, and not just his readings alone. I felt that this alone helped the reader understand how much this man was loved by his readers. Another item of importance is that it is not necessary for you to have read any of Dickens’s work. Doing so certainly adds to the experience but The Last Dickens does not require it of the reader. Overall, this reading adventure was well worth the trip and I look forward to reading Pearl’s other works. Matthew is coming by for another visit on Wednesday, September 30th for a guest post. Be sure to check it out because it will also include a chance to win the book! 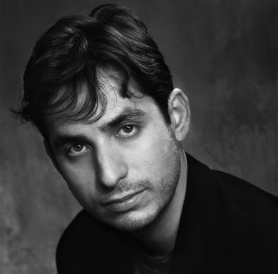 If you’d like to read more about Matthew Pearl, click here to visit his website. To purchase the book, visit Amazon, Barnes & Noble, or an independent bookseller of your choice. The paperback will be released on October 6th! Check out the rest of Matthew’s tour stops here. Thanks to Random House for providing me with this review copy. Ti, awesome review!!! I'm so happy you enjoyed The Last Dickens and I love how you were able to compare it with Drood. Thank you so much for the time and effort that went into reading and reviewing the book. It is much appreciated. Looking forward to the guest post from Matthew Pearl! I do agree that the villains of this era do have that film noir stereotype. There is something more appealing about it then modern books where it is more difficult to identify the bad guys from the good. I really enjoyed Drood, and if this one is even better, I'm sure I'd love it. yep, i enjoyed Drood and now from your review i put this on my wishlist to get asap! I never got to read Drood so I'm glad this one is better and I can skip the huge book! Also my husband enjoyed The Dante Club (Pearl's previous) so that also bodes well for this book! Oh man, that cover is really cool! Your review just moved this to the top of my list! I just love Dickens. Thanks for your thoughts. Thanks for joining in on the Book Review Blog party. Be sure to add my badge (or a link back) to the end of your post. This lets readers know that you are participating in the blog party and makes going back & forth between the reviews easier! Stay tuned for Friday AM, when I announce the winner of the Amazon GC. Again, I have enjoyed reading your blog! I really enjoyed this one as well, though I haven't written my review yet! Sounds like a really interesting book. And I love the cover. Adding it to my TBR list.